Stop by anytime and choose from our large selection of paintings & We will help get you started on creating your very own work of art on a 16 x 20 canvas! Only $21.95 per person. Includes all supplies and unlimited studio time. 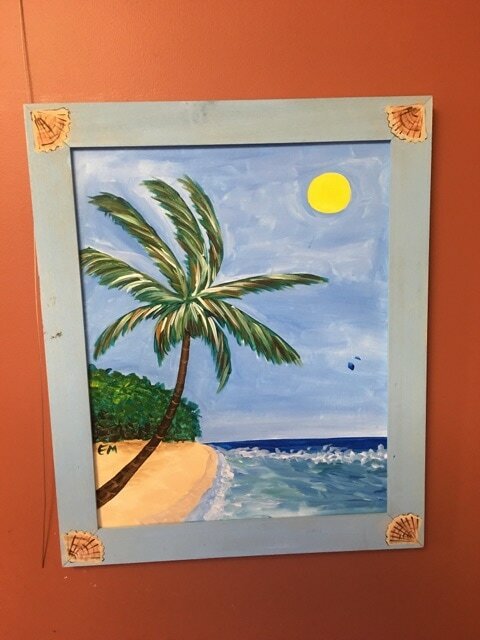 A wooden frame that can be painted to match your painting is available to purchase and paint for an additional $19.95 plus tax! 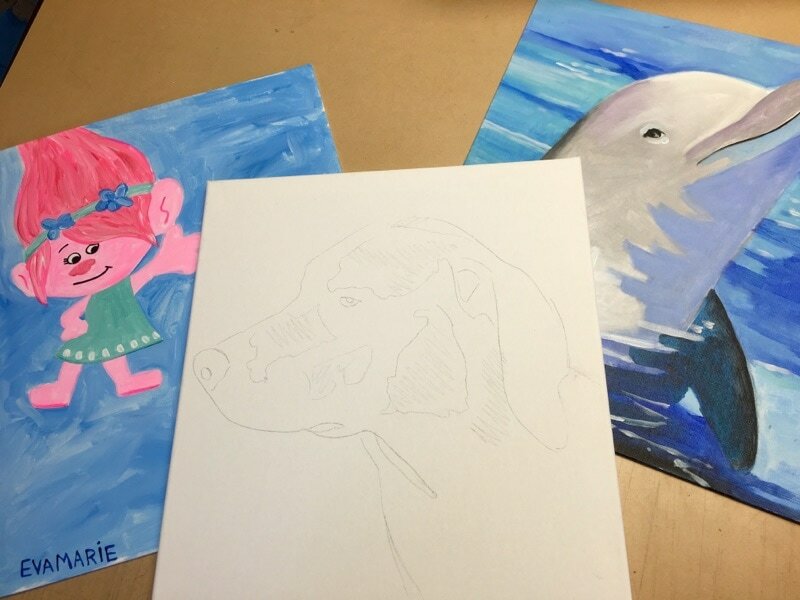 Select from one of our many sample paintings, and we will trace the image on your canvas to paint from! 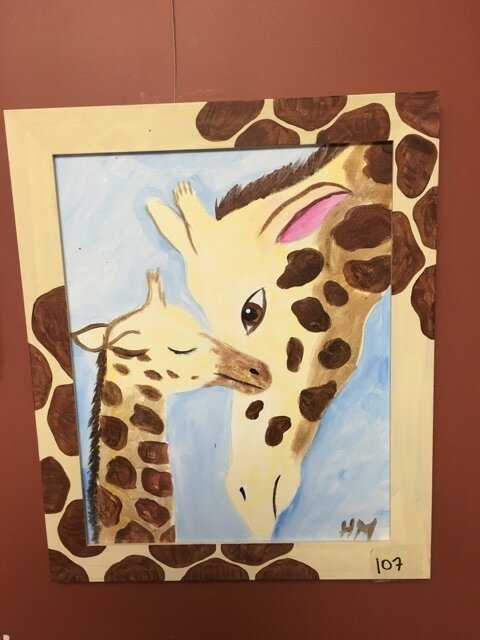 We have paintings ranging in difficulty for anyone ages 5-95. 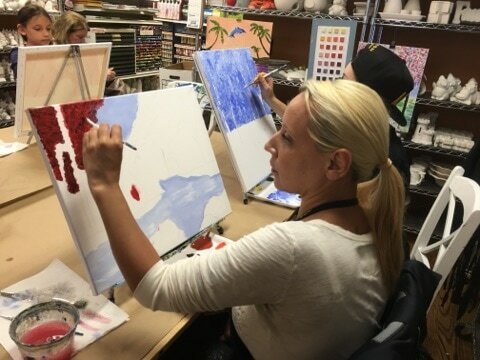 Our skilled artists will help you to choose the colors necessary to create the painting you have selected. We will set you up with an easel, apron, brushes, paper towels, etc. so you can create! Get started! We suggest starting with the background and large spaces, and then moving on to details later on. We also recommend changing your water and washing your brushes every so often so your supplies are nice and clean when using light and bright colors. Step 4: Complete your Masterpiece! 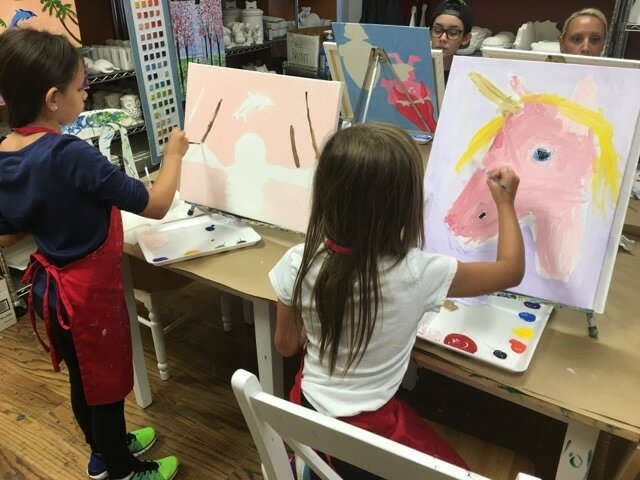 Put on the finishing touches and show off your painting! Acrylic paint dries quickly, so you will be able to take your painting home today and display it. We also have wooden frames available to paint at the low cost of $19.95 plus tax. Have a large group of painters? Reserve our studio in advance! Fill out the form below with the date/time you would like to come in and will be get back to you as soon as possible to confirm that our space is available! This is not necessary for small groups, but we would greatly appreciate it if groups of eight or more would let us know in advance here, or by phone at 732-308-4666! Thank you...we are so excited to paint with you!